Please Note: This award is no longer valid. Please ensure your claims are with the Awards Manager as soon as possible. 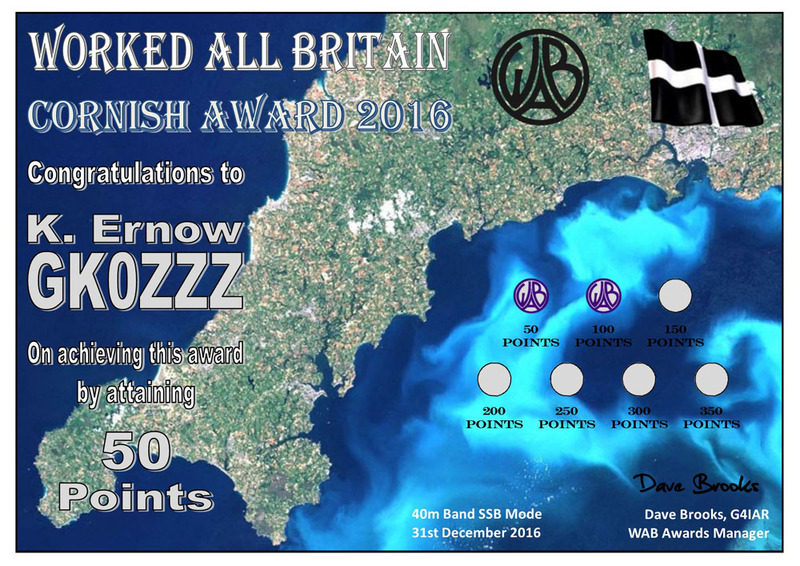 Prompted by the agreement from OFCOM to allow resident Cornish amateurs the opportunity to use the Regional Secondary Locator "K" in their call signs, this award is based on working (or for S.W.L.s, hearing) amateur radio stations and W.A.B. squares in Cornwall. It is based on a points system, with enhanced points for stations using the special Regional Secondary Locator (R.S.L) - i.e. stations with callsigns starting GK, MK or 2K. To quote from the Notice of Variation: "The special 'K' R.S.L. 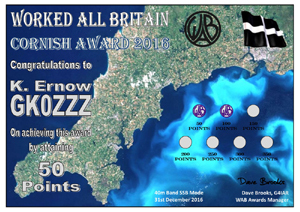 may be used anywhere in Cornwall, including at an Alternative Address, a Temporary location, when Mobile or (if the Licence so permits) when Maritime Mobile. 'Cornwall' includes the Isles of Scilly and St Michael's Mount. 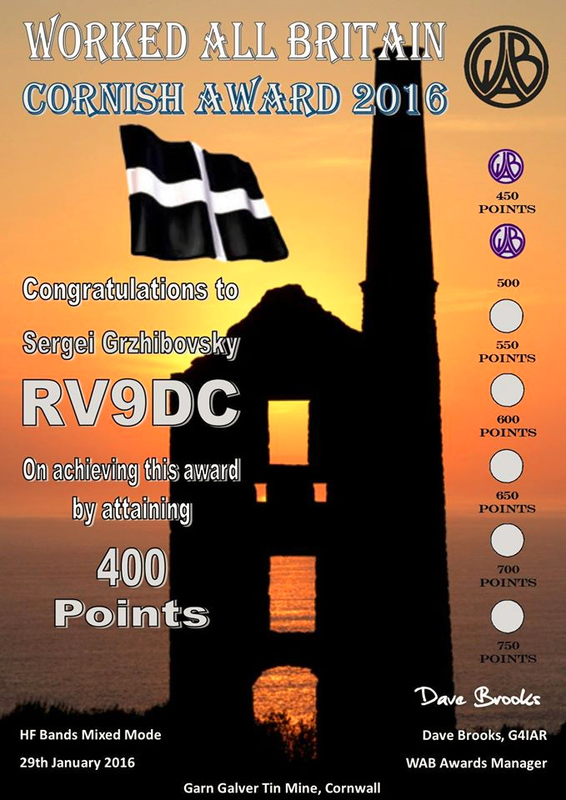 ", so stations operating from the Isles of Scilly will also count for the enhanced score (see below) for this award. A Trophy will be awarded for earning 400 points. Once the Trophy level has been reached, a further certificate will be issued for the next stage onwards. Note:- to claim the trophy, all intermediate stages must be claimed before, or at the same time as, the Trophy claim.